Planters - LIVING AND CO.
Modern Hübsch planter from the new Hübsch collection. This planter is made of wood and has a black finish. Equipped with metal chassis. Nice combined with the other items from the Hübsch collection! Modern Hübsch planter from the new Hübsch collection. 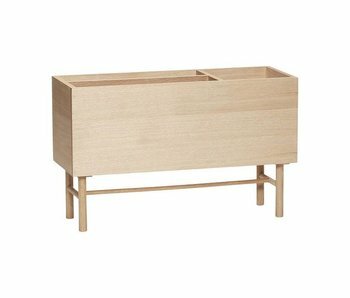 This planter is made of oak and gives three compartments. Nice combined with the other items from the Hübsch collection! Modern Hübsch plant rack from the new Hübsch collection. 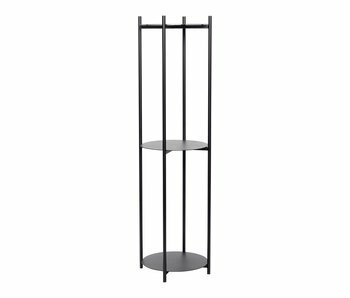 This plant rack is made of metal and has a black finish. Equipped with 3 shelves. Nice combined with the other items from the Hübsch collection! Modern Hübsch planter from the new Hübsch collection. 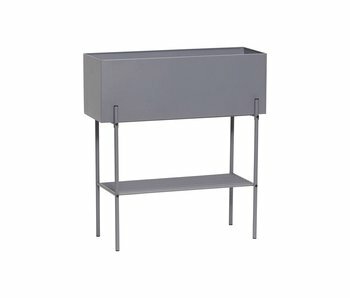 This planter is made of metal and has a gray finish. Equipped with a handy shelf. Nice combined with the other items from the Hübsch collection! Modern Hübsch planter from the new Hübsch collection. 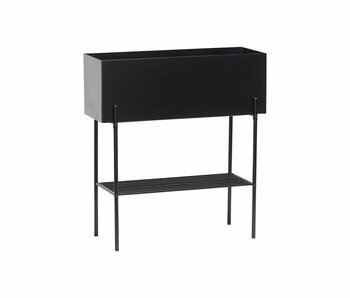 This planter is made of metal and has a black finish. Equipped with a handy shelf. Nice combined with the other items from the Hübsch collection!